I am a skin maker, please read! 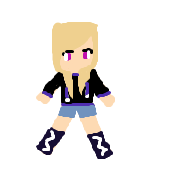 If you want me to make a skin for you please let me know what you want on your skin: boy or girl, skin color, hair color and style, eye color, headset and/or hoodie, shirt color and/or pattern, pants or shorts color, and shoe color and/or pattern. Please give me your email so I can send the file. Thanks you all and I hope you enjoy your skins! Excuse me, what do you mean by flogger, you mean this hair style? you mean you want white for the color of your skin? and if so what about your shirt? Hi can you do a skin for me? 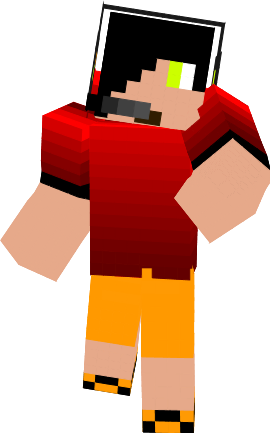 Hello sir could you make me a skin with these proportions BoyWhite Skin color not to light, light blonde hair, wavy blue eyes Shirt color dark blue and pattern, creeper! shirt with a white, blue trimmed hood on th back of the head Pants please a black with silver chains and shoes sneaker that are white with blue bottom, thanks! My MC player name is R4nd0m6000. Skin color: White, but like... I can't say this without being considered racist can I? The heart on the back is gonna be hard seeing that the back is 8x12. I know you'll probs make it symmetrically. Could you make me an enderman skin with a headset and have a gaming looking shirt? Hello guy with a blue hood of the sweatshirt on the head. The sweatshirt needs to be closed half way and the sleeves pulled up to half arm, on one arm bracelets and on the other arm a tatoo. Furthermore this character needs to wear dark sunglasses and a chain around the neck. He wears slightly ripped jeans and a pair of heavy-duty boots. Ok, I'll work on your skins, but don't be mad if it takes awhile. Lots of people requesting skins.